A new year always presents new goals and new challenges! A time to reflect, a time to pray and a time to dream; but more importantly, a time to get one’s marching orders for the New Year from the One who is in charge! Koinonia Institute has grown numerically over the last year, which has presented some growing pains for all facets of the ministry. Our IT department has done an amazing job keeping us on the “cutting edge” with modern technology! As you know it is our desire to exploit and use new technologies for the glory of God and for the furtherance of the Kingdom. Our 2007 National Convention was undoubtedly a highlight! If you were unable to be with us be sure to get the audioCDs or DVDs. The speakers list was amazing, and time does not permit me to review each of the presentations. 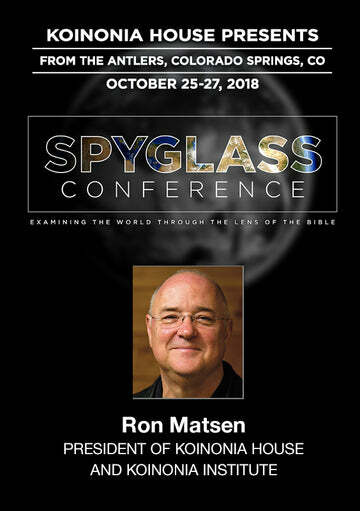 Make plans now to be with us next October! One thing that was a highlight for me was to see the joy of the KI Fellowship. For many, the highlight of the conference was connecting email addresses to actual people-there is NOTHING like the face-to-face greetings and first-time hugs! It was evident that KI is a hugging community! All of our Tracks are growing and being stretched. We are continuously working to increase our Berean curriculum and I encourage you to take a look at the ’08 first semester selection of courses offered. Our Issachar track is currently being fine tuned and we are looking forward to working together with our TAs to make this as efficient and productive as possible … stay tuned! Our Koinonos Practicum page is now functional and, since it has been posted, we have had dozens of entries. The scope of what our KI’ers are doing “for Christ’s sake” is truly inspiring! Numbers can be indicators, but I am always cautious not to make them the totality of any evaluation. When I look at the way Jesus handled things I don’t see a major focus on the numbers. But, with that being said, our Fellowship is growing and we now have close to a thousand members who represent close to twenty different countries! As I write this article, I would like to ask for your prayer support for the following items. These are the goals that I envision for 2008. The reason I ask for prayer is because I want these goals immersed in prayer so that those goals which are not of God will fall by the wayside, but those that are will be the focus of our attention. Remember, collectively together we ARE KI! A plan to partner with churches. We want to be an asset to those churches and small groups who can use our courses as curriculum. For our Issachars to present some of their research presentations at our next National Conference. I believe that it is important to set goals and fix our sights on targets. The Bible tells us that without a vision the people perish and these are some of the goals and visions that I have for KI. As I mentioned before, please join me in committing these to prayer and if God is calling you to JUMP IN then by all means be obedient! May God bless you and yours with His Shalom and His Grace in this upcoming year!